Pastor Theodore Michael Schulz was born in Madang, Papua New Guinea on May 12, 1953, a son of the Rev. Paul A. Schulz and Carrie (Pitsenbarger) Schulz who served as Lutheran missionaries (ALC) in PNG for 23 years. "Ted" was baptized on May 31, 1953, at Bongu (Madang), New Guinea, and confirmed on October 23, 1966, at St. Peter's Lutheran High School in Brisbane, Australia. He was educated in Lutheran parochial schools at Wau, Papua New Guinea and at Brisbane, Queensland, Australia. His family's American home is in Pendleton County, W. Va. His grandparents were the late Rev. and Mrs. Henry D. Schulz, of Sugar Grove, W. Va., and the late Mr. and Mrs. James Luther Pitsenbarger of Brandywine, W. Va.
After graduating from West Virginia University in 1975 (B.A. with a Major in History and a Minor in Political Science), Ted earned a Master of Divinity degree (M. Div.) from Trinity Lutheran Seminary in Columbus, Ohio, in 1979. His year of internship was served at Hephatha Lutheran Church, an inner-city congregation in Milwaukee, Wisconsin. He also completed a CPE "chaplaincy" program at the University of Virginia Medical Center in Charlottesville, Va. Following his graduation from Trinity Lutheran Seminary, Rev. Schulz did post-graduate studies in counseling. He enrolled in the "Ministry of Pastoral Care" program at Luther Seminary in St. Paul, MN, where he was placed in a field site as a chaplain-intern counselor at Abbott-Northwestern Hospital's chemical dependency treatment center in Minneapolis. The director was Pastor Phil Hansen of "Sick and Tired of Being Sick and Tired" fame. While in the Twin Cities, he also completed a course at the Johnson Institiute, a training center in alcoholism and substance abuse. Ordained into the Christian ministry on October 25, 1981, Rev. 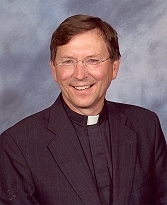 Schulz served as Pastor of the Petersburg, W. Va., Lutheran Parish (1981-1988); and Apostles Lutheran Church in Gloucester, VA, as the first full-time pastor (1988-1996); and Shepherd of the Valley Lutheran Church (Nov. 1 1996 to present) where he oversaw the relocation of the mission from Bridgewater to Dayton, VA in 2003. In October 2011, Pastor Schulz celebrated the 30th Anniversary of his Ordination. He is the fourth generation to enter the work of Christian ministry. His great-grandfather, the Rev. Heinrich Schulz, who graduated from the Hermannsburg Lutheran Seminary in Germany, served as a missionary to the Hanover area of Ontario, Canada in the 1800's. Rev. Heinrich Schulz's wife, Dorothea Johannes, had two sisters who also married graduates of the Hermannsburg Seminary. One was a Rev. Harms who went as a Lutheran missionary to India and one was a Rev. Pieters who went as a Lutheran missionary to South Africa. So, you might say "mission is in the blood." Pastor Ted Schulz married his wife, Olga Esperanza, on June 26, 1999, in Harrisonburg, VA. She is a native of San Miguel, El Salvador. Ted and Olga, who met in Bridgewater, have four children: Ileana, Mario, Josiah, and Benjamin. Ted's interests include travelling, sports, music - especially jazz, photography, reading & current events. Pastor Schulz welcomes the opportunity to meet you and talk with you about the mission of Shepherd of the Valley or anything else that might be on your mind. God bless you.